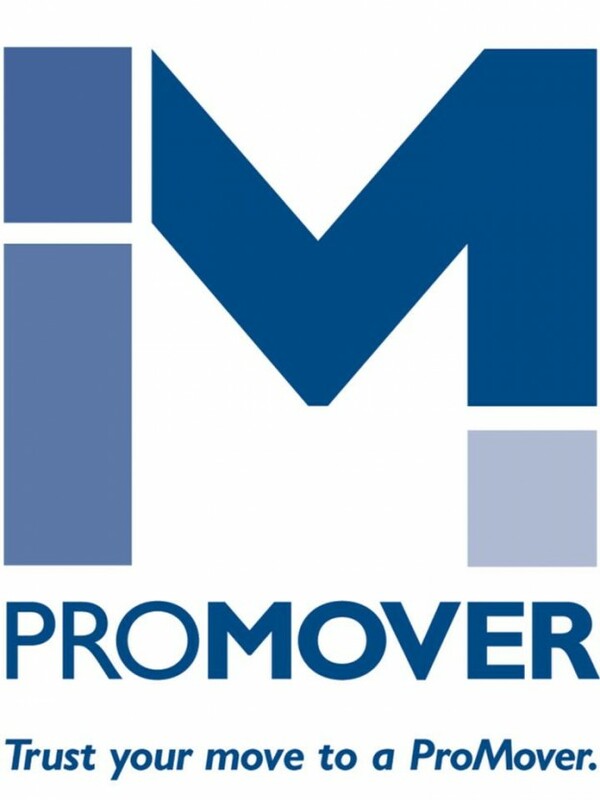 Movers Tucson AZ – Assurance Relocation Systems is quickly climbing to 2,000 likes on our facebook fan page, and we have a new Facebook Business page URL – https://www.facebook.com/MoversTucsonAZ/ Don’t worry! If you’ve liked our page, nothing changes for you:) BUT, if you’re looking for the Movers Tucson AZ – Assurance Relocation Systems page, formerly at /AssuranceRelocations, we ask that you PLEASE use our new URL. We’ve worked hard to become the BEST movers in Tucson! We’ve gotten more referrals from Apartments, Realtors & Assisted Living facilities over the last month than EVER before! It’s no surprise to us, that the more WE refer people to OTHER local Tucson businesses, the more referrals we GET in return! Local Tucson partnerships & networking is the backbone of our company, and our success! We appreciate the entire Tucson business community supporting us & referring us, and growing with us! The best feeling in the world, is giving out referrals to local Tucson businesses, and watching them grow too! We move local, Tucson moves, long distance moves from Tucson, international moves from Tucson, and we’re 100% approved for Military Moves from Tucson, going to & from anywhere in the world. Your belongings are valuable & precious. Don’t leave the safety of them up to inexperienced movers. We’ve been leaders in when it comes to providing the best of the best when it comes to Tucson Movers, and we’re going to keep it that way. Need a free quote or estimate? Movers Tucson AZ – Assurance Relocation Systems can provide over-the-phone quotes, as well as in-home estimates. We’re available at any time to meet your needs. We offer full service moving AND Tucson storage unit solutions to fit any need, and any budget. We’re on time, knowledgeable, and we work harder, safer & faster than any other moving company in Tucson! We specialize in providing last-minute movers in Tucson, and emergency movers in Tucson. Make it a great day and remember, WE WANT ALL YOUR MOVES! This entry was posted in News, Uncategorized and tagged 2 men truck moving tucson, 2 men tucson, abba movers tucson, affordable movers tucson, ez movers tucson az, green valley movers az, local movers tucson, local tucson movers, movers green valley, movers tucson, moving company foothills az, moving company sahuarita, moving company tucson, tucson apartment movers, tucson movers, tucson movers facebook, tucson moving company, tucson moving storage on October 4, 2016 by adminassur. Looking for Piano movers or a piano moving company in Tucson? Local Tucson movers say Piano moving is music to their ears! “We’ve been the leading movers in Tucson when it comes to moving a piano in Tucson AZ. That’s a title we’re proud of.” says J.P Bouchard, of Movers Tucson AZ – Assurance Relocation Systems. Quality piano movers in Tucson are hard to find. An instrument like a piano can be very expensive to replace if broken or damaged by inexperienced movers in Tucson AZ. Sometimes, replacement & repair parts for your piano are no longer available, so, there’s nothing you can do, or any amount of money that will fix the damage caused by friends helping you move, or a moving company in Tucson with little to no experience moving piano’s in Tucson AZ. Often times, things like piano’s are also family heirlooms, and have no replacement monetary value. You need Tucson Piano Movers you can trust! Movers Tucson AZ – Assurance Relocation Systems in Tucson AZ, has quickly become the fastest growing, most trusted & referred moving company in Tucson. Our highly trained, expert movers can help move your home, we’re office movers in Tucson, your piano, or anything else you might need help with! We’re the “best of the best” when it comes to moving companies in Tucson AZ. Our superior, unmatched service is what keeps us at the top! We also take a tremendous amount of pride in the fact that we provide super fast response times & impeccable timing if you need “Emergency Movers” in Tucson. If you’re in need of a last-minute moving company in Tucson, you’re in excellent hands with Movers Tucson AZ – Assurance Relocation Systems. For piano movers in Tucson, or any other type of Tucson movers or moving & storage help, or anything of that nature, please do call us today, at 520-396-4403. You can also stop in to our corporate office and warehouse & say hi! Get directions here! Don’t forget to follow us on Google+! And stay up to date with ALL things Tucson Movers & “like” our page on Facebook! Movers Tucson AZ – Assurance Relocation Systems | 520-396-4403 | 2880 N. Flowing Wells Rd. This entry was posted in News, Uncategorized and tagged 2 men truck moving tucson, 2 men truck tucson, abba movers tucson az, assurance relocation tucson, assurance tucson facebook, az, ez movers tucson, move piano, movers, movers 85750, movers green valley, movers marana, movers oro valley az, movers sahuarita, movers tucson, moving companies in tucson az, moving company foothills az, moving company sahuarita, moving company tucson, piano, piano movers tucson, piano moving tucson az, sahuarita movers, tucson, tucson movers, tucson moving companies, tucson moving company, tucson moving storage on October 3, 2016 by adminassur. 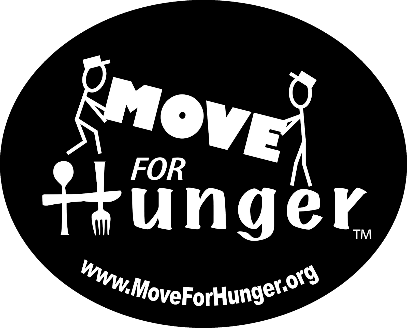 Well, the best “Movers in Tucson” AZ at Assurance Relocation Systems have already started bringing in food to help local Tucson families in need via the nationally recognized “Move for Hunger” campaign. “We’re happy to be able to provide the best possible moving services to Tucson residents, and help feed Tucson families at the same time.” says J.P. Bouchard, an Assurance Relocation Systems mover located in the Tucson AZ warehouse. Getting quality movers in Tucson is sometimes more challenging than it might seem at first. You’ve got to find movers in Tucson that are reliable, and show up when they say they will. You have to find experienced movers in Tucson who truly care. You need a moving company in Tucson that’s affordable, and that’s going to take the utmost care of your belongings. These are all qualities that Assurance Relocation Systems has put a concentrated focus on developing, since the day we started this moving company in Tucson AZ. These are the principles & values that we believe & abide by on a daily basis, with every move we get! We believe these are the reasons we’re quickly becoming the biggest, fastest-growing moving company in Tucson! This is why we’re already the most referred movers in Tucson! This is why we’re doing whatever it takes to provide SUPERIOR, UNMATCHED Tucson moving, Tucson packing & Tucson storage solutions & AMAZING customer service! A larger majority of our Tucson residential movers & house moves in Tucson have food that they’re able to give us, to deliver to Tucson Food Banks & distribution centers. We could never thank the people in the awesome city of Tucson AZ, for your continued business, referrals & jobs! Get a free quote/estimate from the Most Trusted & Most Reputable moving company in Tucson! We do estimates by phone, and we also give in-person estimates for Tucson moving services. This entry was posted in News, Uncategorized and tagged 2 men truck moving tucson, abba movers tucson az, assurance relocations facebook, cheap movers tucson, ez movers tucson az, green valley movers az, local movers green valley az, local movers sahuarita, local movers tucson az, movers 85750, movers green valley, movers marana, movers oro valley az, movers sahuarita, movers tucson, movers tucson az, moving company foothills az, moving company in tucson, moving company sahuarita, sahuarita movers, tucson apartment movers, tucson moving company on September 28, 2016 by adminassur. Local Apartment Movers in Tucson attribute experience, to success. As professional, experienced Local Apartment Movers in Tucson, we know that moving an apartment in Tucson can be a challenge. Tucson has some very interesting & unique apartment complexes that you just don’t see anywhere else. As you may know if you’ve ever moved an apartment in Tucson, this can be a very difficult task if you’re trying to DIY or have inexperienced friends help. You might consider hiring professional Apartment Movers in Tucson. In most cases, moving an apartment in Tucson requires professional help, in order for your belongings to arrive safely & undamaged. Moving heavy furniture up & down stairs in Tucson apartments can also be very dangerous & cause serious injury. The fact of the matter is, when you consider the value of your family heirlooms & your belongings, it’s usually MUCH less expensive to hire a professional mover in Tucson. Not just a professional either, professionals with DECADES of experience. True specialists when it comes to apartment movers in Tucson, and you can see that in our reviews. It might be worth a quick call to the experienced, local Tucson Movers who SPECIALIZE in moving apartments in Tucson – Assurance Relocation Systems, to get a free estimate over the phone, or in person. Check out some of our reviews in the video below! These are people IN TUCSON, who say we’re the BEST MOVERS IN TUCSON, period! We also offer Tucson storage unit solutions, packing services in Tucson AZ & so much more! We’re not bragging either. If you’re looking for professional local movers in Tucson, then we’re applying for the job! We work hard to earn every move we get. We employ only the best Movers in Tucson, Apartment Movers in Tucson, Commercial Movers in Tucson, Office Movers in Tucson, AND, we’re 100% US MILITARY approved! Local moves here in Tucson, Long Distance moves from Tucson & so much more! Moving supplies in Tucson, Packing Supplies & Service in Tucson, Tucson Moving & full Storage Unit services in Tucson AZ. This entry was posted in News, Uncategorized and tagged 2 men truck moving tucson, abba movers tucson az, affordable movers tucson, apartment movers tucson, best movers tucson, cheap movers tucson, ez movers tucson az, local movers tucson az, local tucson movers, movers tucson, moving company tucson, tucson apartment movers, tucson movers on September 27, 2016 by adminassur. At Assurance Relocation Systems, we’re proud of who we are and where we’re from. So, naturally, our eyes lit up when we found an article in The New York Times about Tucson titled “An Unsung Architectural Oasis.” This descriptive piece, penned by Guy Trebay, lays out the gorgeous Tucson landscape and its modernist architecture in an enticing and relatable tone. We have to be honest, seeing an article about Tucson in the NYT was exciting enough, but after the trip Guy Trebay takes us on with his acute perceptibility and honest retelling of his time in Tucson, we appreciate our great city just a little bit more. In this blog, we’ll take you through some of the finer points Trebay mentioned about his experience with what he calls “a landscape wondrous and yet seemingly inhospitable” – the desert that Tucson calls home. Treblay mentions the first time he noticed the significant examples of mid-20th century architecture in Tucson, something the city secretly has in abundance. It all began at an annual American Gem Trade Association fair, where Treblay found himself less interested with the hordes of rock enthusiasts filling the parking lots of the fair, and more absorbed in exploring the streets of Tucson in search of hidden architectural treasures. He speaks of the beauty of cascading glass walls, blank fieldstone walls forming the facades of cool interior caves, and cathedral-like shapes of buildings that decorate the Tucson skyline. Trebay notes the difference between the cookie-cutter homes you find on the East Coast, and the dense neighborhoods that contain hidden gems of modernist architecture in the Southwest. Every autumn brings with it Tucson Modernist Week, which features a guided tour to find the works of architects such as Tom Gist, Anne Rusdale, Robert Swaim, or Arthur T. Brown. Trebay resorts to a written guide to find the mid-century holdouts, peppered amongst the corner stores and stucco strip malls. At Assurance Relocation Systems, we are glad to see others experiencing the beauty of Tucson, and what a great place it is to live. We hope to serve the great city of Tucson with the top-quality move services we provide. It’s our way of giving back to our community, and our home that we love so dearly. If you would like to learn more about our moving and storage services in the Tucson area, call us or fill out our online estimate form for a free moving quote.. This entry was posted in News on February 14, 2016 by adminassur.